Kevin Kreiss www.timeandspacetoys.com and I confirmed our RANKIN/BASS weekend today for Brookfield Zoo December 8th and 9th! 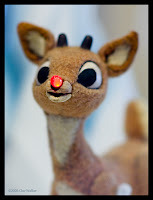 We will have the original RANKIN/BASS Animagic figures of RUDOLPH & SANTA CLAUS there among many other surprises! We would like to have RANKIN/BASS Musical composer MAURY LAWS there as our guest (pictured left) BUT we will have to see if he can fit it into his Holiday schedule. 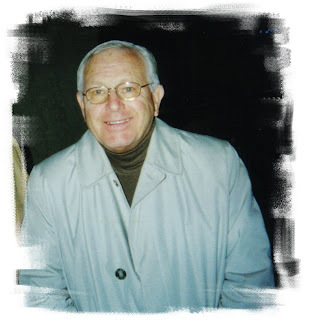 Another RANKIN/BASS Cast member...character designer PAUL COKER, JR. !! 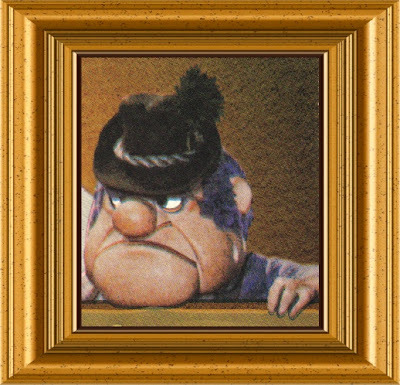 Paul is very well known for his work in MAD MAGAZINE and he has created the RANKIN/BASS characters like FROSTY THE SNOWMAN, The Heat Miser and The Snow Miser. We carry signed postcards of the MISER BROS in our SHOPPE! Paul signed them personally for you! FESTIVAL OF FAMILY CLASSICS on DVD! These are some nice additions to a RANKIN/BASS DVD collection! FESTIVAL OF FAMILY CLASSICS is a GREAT animated series from RANKIN/BASS and CLASSIC MEDIA have issued several in very affordable DVDs like these. There are two episodes per disc. There is another edition with the Princess collection as well. www.amazon.com does not picture them but apparently carries them. www.deepdiscountdvd.com carries them as well. These are very nice transfers of the series! I am writing another MAD MONSTER PARTY magazine article for NICK KAUFMAN and his magazine CRYPTIC MAGAZINE. The MAD MONSTER PARTY DVD is still available at http://www.amazon.com/ and I always HIGHLY RECOMMEND it! 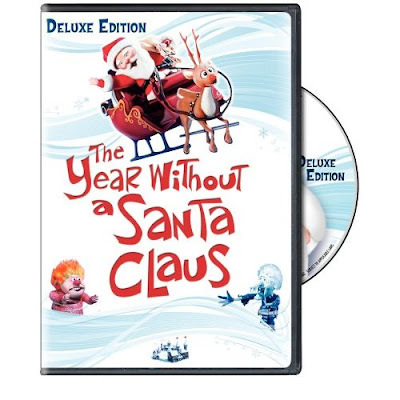 This is my favorite RANKIN/BASS Production tied with RUDOLPH THE RED-NOSED REINDEER. My booklet is still inside the packaging. I also HIGHLY RECOMMEND the FUNKO figure series! You are Under arrest! No more toys! 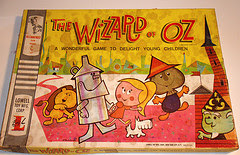 A cool vintage RANKIN/BASS Boardgame from OZ! It looks like our RANKIN/BASS HOLIDAY MAGIC weekend at Brookfield Zoo in Brookfield, IL will take place on the weekend of December 8th and 9th! We are having a conference call with the ZOO and www.timeandspacetoys.com this Friday to discuss the details. RANKIN/BASS Merchandise will be available in the zoo throughout the entire Holiday season! I finally found the 1972 RANKIN/BASS Saturday Superstar Movie called THAT GIRL IN WONDERLAND starring Marlo Thomas with commercials and had it transferred to DVD-R. You can see a clip of it on www.youtube.com under 1972 THAT GIRL CARTOON. When I did my first book, I could not locate a copy. I even asked Marlo Thomas. This was one of those RARITIES that was seen once and then shelved away for quite a while. Season 3 of THAT GIRL came out on DVD this month and what a GREAT show! Bravo to SHOUT for releasing them in such a quality way! 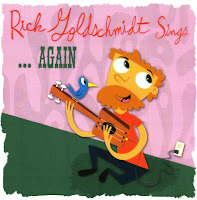 E-mail me at: Rickgoldsc@aol.com if you have any questions. These were COMICON exclusives designed from the style guide by my pal PATRICK OWSLEY! KEVIN at www.timeandspacetoys.com has the official releases of these figures! The packaging also has Patrick's artwork on them. Coming to a store near you October 2nd! This special Edition DVD release will feature the VERY 1st RANKIN/BASS Documentary! It is worth picking up for the story of RANKIN/BASS as told by the people that put these specials together...including ARTHUR RANKIN, JR., MAURY LAWS, DON DUGA, PAUL COKER, JR., etc. 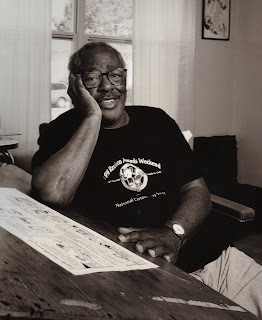 This is MORRIE TURNER creator of the WEE PALS comic strip that ultimately was developed into the RANKIN/BASS Saturday morning series KID POWER. There is a documentary in the works on MORRIE and I am a part of it. I did my interview at Christmas 2005 and looking forward to seeing the final piece. This picture came from a GREAT new book that I HIGHLY RECOMMEND called THE ARTIST WITHIN (Dark Horse) with Photographs by Greg Preston of JACK DAVIS, JOHN ROMITA, SR., ALEX ROSS, JACK KIRBY, MITCH O' CONNELL, etc. etc. Here is someone I thought you should know! Romeo Muller's brother GENE! He has been so helpful with all the RANKIN/BASS Projects I have worked on over the years and he deserves a BIG THANK YOU! 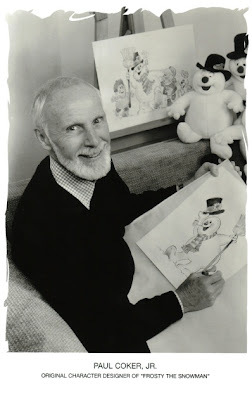 Romeo was such an incredible part of the RANKIN/BASS legacy and will never be forgotten. I could have never researched Romeo's work without the kindness of GENE! TIME & SPACE TOYS Exclusives for the Holidays 2007! Here are some VERY cool exclusives www.timeandspacetoys.com are offering for the Holidays of 2007! I am especially excited about the GRINCH item, which was done in conjunction with McFARLANE toys. NICE stuff! TIME & SPACE TOYS will also be a part of our BROOKFIELD ZOO weekend, which looks like it will be December 15th and 16th now. Make plans to come out! This may be the last public appearance for the SANTA & RUDOLPH ANIMAGIC figures for a while.